Although Chinese scholars' stones fascinate, they do not speak; they reveal their mysteries only grudgingly to those who take the time to observe and to investigate. In six essays the author relates important lessons learned over a lifetime of collecting and researching these intriguing creations of nature. What did Chinese connoisseurs of a thousand years ago mean by the enigmatic terms shou, zhou, lou, and tou? Were "ink mountain stones" the earliest collected stone form, and were they valued primarily for their utilitarian function? What are the "Qingzhou stones" mentioned in one early text, but ignored in subsequent writings? What should we be looking for when we evaluate an ancient stone? How can we tell if it is ancient without written records and how much weight can be given any documentation? Finally, using the tools of connoisseurship and textual evidence, is it possible to verify that a stone first collected in the former Han dynasty is the stone we are looking at today? 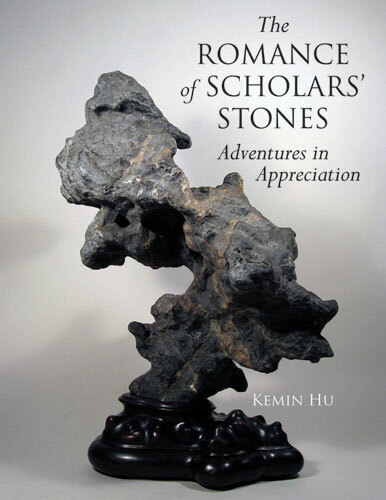 In exploring these and other issues, Kemin Hu illuminates a depth and complexity of stone appreciation not touched upon in other publications, yet understood and appreciated by serious modern collectors as well as Chinese stone lovers of old. Kemin Hu is one of the foremost experts on Chinese scholars' stones and author of several books on the subject, including Modern Chinese Scholars' Rocks, Scholars' Rocks in Ancient China: the Suyuan Stone Catalogue and The Spirit of Gongshi..